It's late in the winter months and signs of spring are slowly approaching in Rocky Mountain National Park. 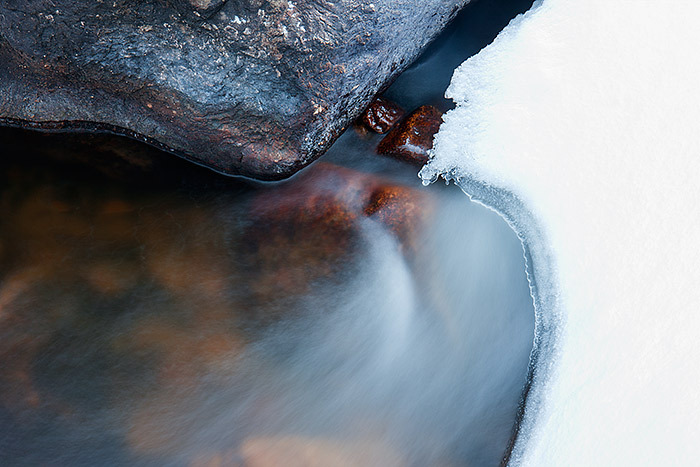 Glacier Creek has just begun to thaw, making for a nice juxtaposition of water flowing over and around the rock and snow that still lines Glacier Creek. . Photo © copyright by Thomas Mangan.